According to the Kennewick Police Department (KPD), police officers and the Kennewick Fire Department (KFD) responded to a vehicle fire at the Kamiakin Apartments on W Metaline Ave in Kennewick. The cause of the fire is currently unknown but the first responders believe it is likely due to a mechanical issue.The driver was not at the scene when police arrived but witnesses say the fire started after the driver had parked the car and left. What is commonly (but inappropriately) called “Full Coverage” is what would cover a car fire. More specifically, Comprehensive coverage is what would cover a loss like this. Comprehensive typically covers things “other than collision” like fire, theft, vandalism, etc. As long as the fire was not intentionally set by the insured, Comprehensive should kick in and cover the loss. 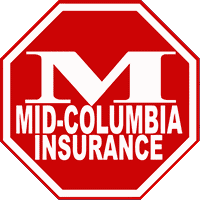 Comprehensive coverage typically has a $100, $250, or $500 deductible, meaning you are responsible for damage up to the deductible amount and the insurance company is responsible for any damage above and beyond your deductible. Should You Carry Comprehensive Coverage? If your car is financed, that question has been answered for you. The finance company will require that you carry Comprehensive and Collision coverage on the car for the life of the loan. This is what is what the bank calls “Full Coverage” although nothing is fully covered except possibly the car loan. But what if you don’t have a loan? A lot depends on the value of your car and the cost to keep the coverage. Also, since comprehensive also covers replacing a cracked windshield, many people will continue to carry comprehensive but drop collision especially since comprehensive coverage is usually relatively inexpensive on older vehicles. And as this story shows, it is not just a cracked windshield you have to worry about. If your car caught fire, was hit by a deer on the road, or stolen, would you want the insurance company to help you get a new car or could you take car of it yourself? The best way to decide if you should continue carrying comprehensive (and collision) coverage is to find out how much it costs a year and weigh that against the value of your car. Until your car is worth less than $1000, it is probably a good idea to continue carrying comprehensive even if you drop collision sooner because of its higher cost.